Good dynamic block makes you steps ahead beyond your competitor. 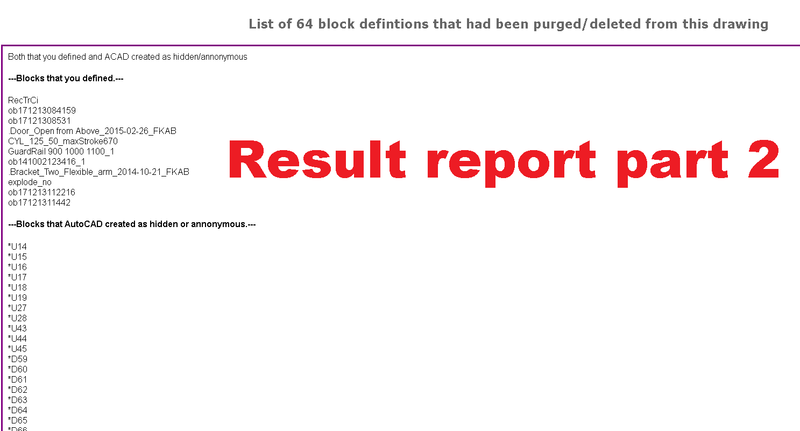 We know that you had spent times and money to have powerful dynamic blocks. Sending them without necessary out of your organization may reduce your strength. 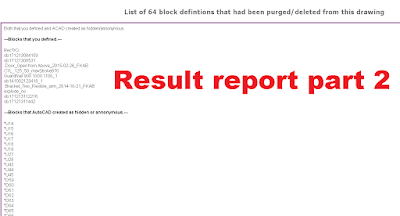 This tool will help you keep your advantage by convert all dynamic block in the drawing to be ordinary static block and also purge them to be totally clean. After that, it is safe to give your drawing away. 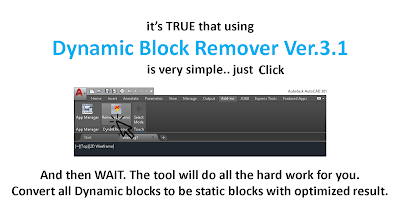 Version 1.x, app just converts each dynamic block to be new unique static block. Version 2.x, app come with more flexible settings to get a lot more optimized drawing size. But it turn to be too complicate to use. Version 3.x, app had been rewritten from the ground up. 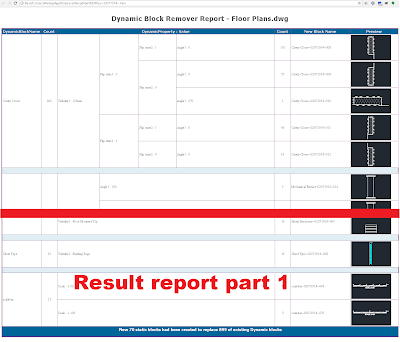 Can not be easier, just one click and wait to get result which even more optimized than ver.2.x, more clean and more detail report. New version, new method, can't be easier, just one click and wait. 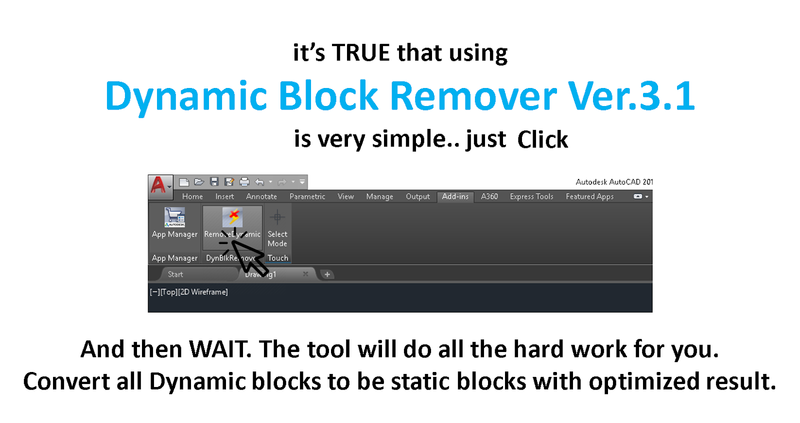 Dynamic Block Remover is brought to you by LWTP. It's priced at US $35.00.